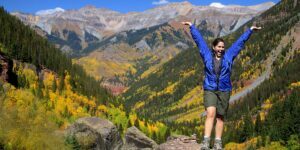 Located within the Bear Creek Preserve, Bear Creek Falls is one of Telluride’s most popular day hikes. 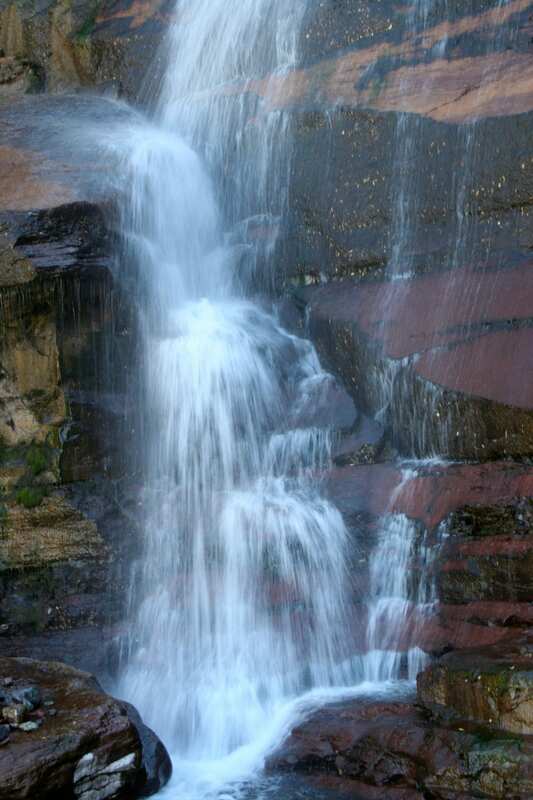 It’s relatively easy to reach from town and ends in a spectacular waterfall display. The moderate hike is 2.3 miles in, and 2.3 miles back, with an elevation gain of 1,050 feet. It takes between one hour and one and half hours to reach the upper waterfalls. There is both an Upper and Lower Bear Creek Falls. Expect to see bikers and an occasional horseback rider on this multi-use trail. From Telluride – Drive onto Colorado Avenue in downtown and turn south onto Pine Street. This continues for a few blocks before becoming a dirt road. This is Bear Creek Trail. Look for parking and start the hike. 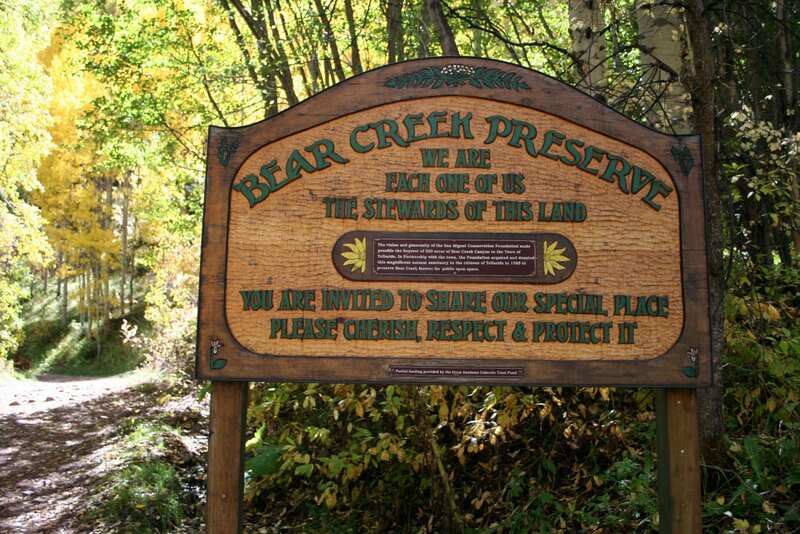 Follow to a welcome sign for the 325-acre Bear Creek Preserve. Bear Creek Falls Trail connects with Wasatch Trail, which continues up the canyon. 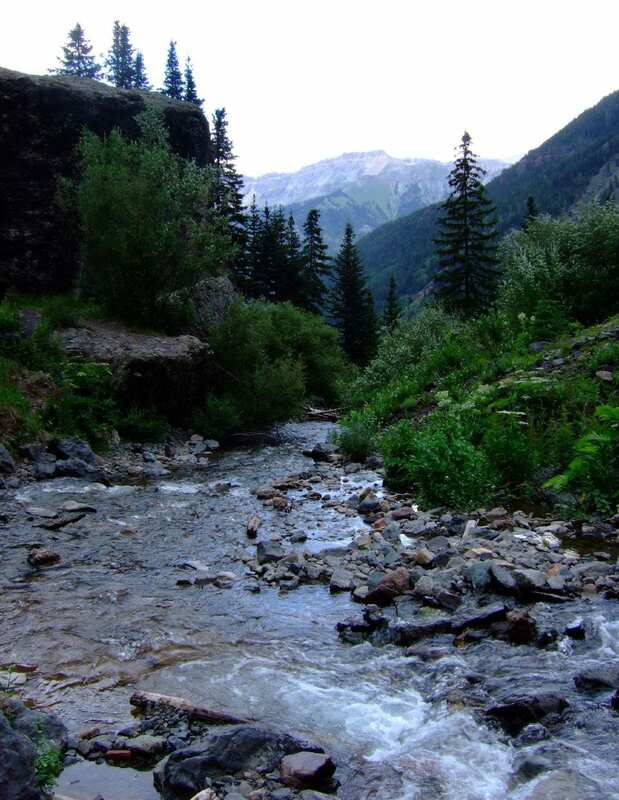 You can meet up with Telluride Ski Area from Wasatch, or even to Bridal Veil Basin, which has another popular waterfall. 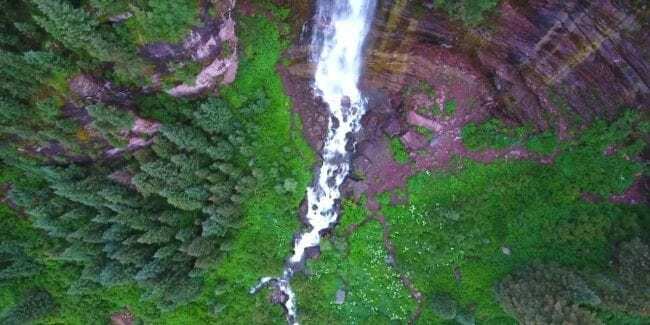 There’s another Bear Creek Falls in Ouray, not to be confused with this one in Telluride.